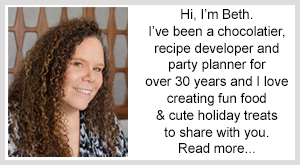 April 16, 2014 By This post may contain affiliate links. 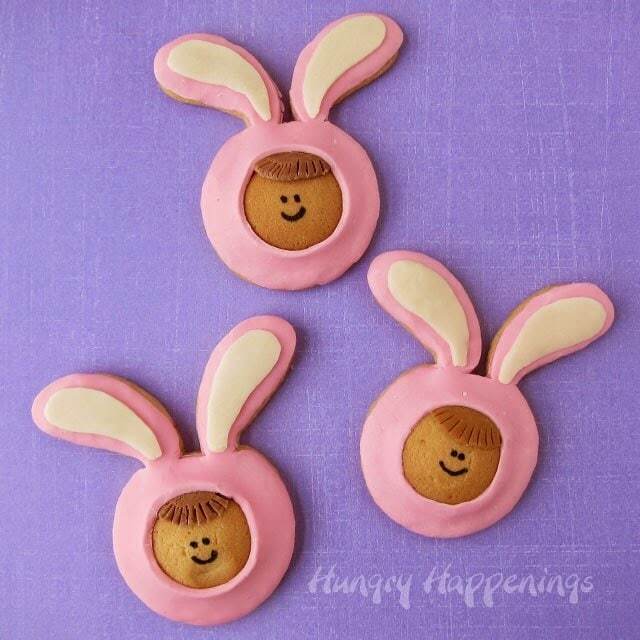 This Easter have some fun in the kitchen turning vanilla wafers and homemade sugar cookies into these cute little Cookie Kids in Pink Bunny Pajamas. 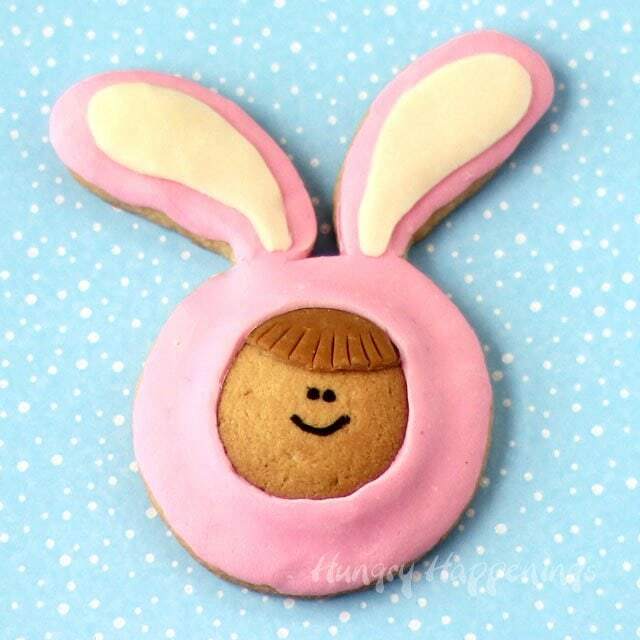 A friend hung out with me yesterday while I made Easter chocolates, and she saw one of these Cookie Kids in Pink Bunny Pajamas sitting on a baking sheet and commented on how much she loved it. I reacted in a way that only a blogger who totally forgot to create a post about a project would. I scolded myself. She thought I was upset about how my cookies looked and she started comforting me, telling me all the wonderful things about the cookies. It was so sweet. I explained to her, that I couldn’t believe I actually forgot to write a post about the cookies. I love them too. 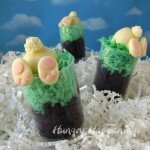 They are my favorite edible craft of this Easter season. 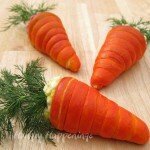 How could I have forgotten about them? Usually I create something and am so excited to share it with you that before I even clean up my dishes, I’ve sat down to write the post. 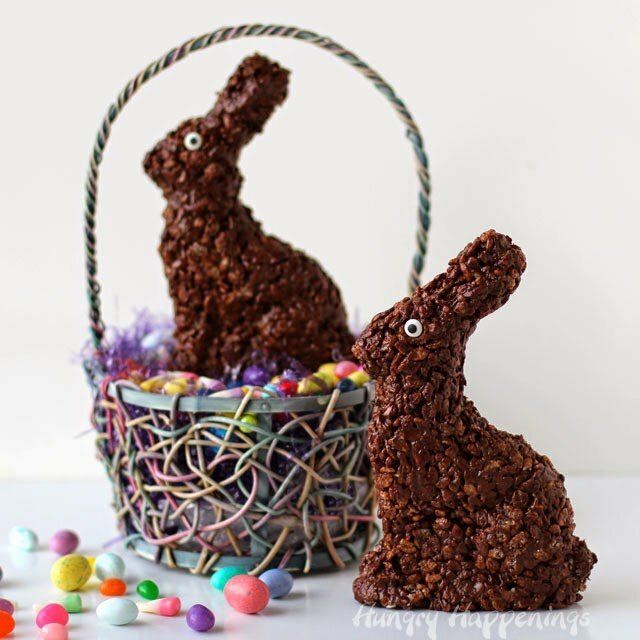 During a holiday season like Easter, however, when I know I’m going to be really busy working on chocolate orders, I have to create a lot of recipes ahead of time, and share them over the course of a few weeks and being I made so much for Easter this year, I let this one slip by me. Before getting into my own pajamas and heading off to bed last night, I sat down to write this tutorial, because I knew I wouldn’t sleep well if I didn’t. 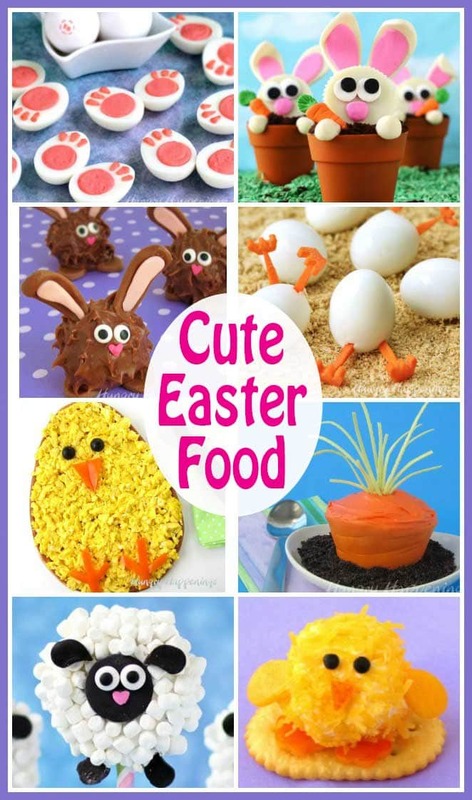 Easter is only a few days away, and I just know you’ll want to make these. 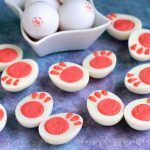 *You’ll want a cookie cutter that is large enough to have a vanilla wafer in the middle and still have about 1/2 – 3/4 of an inch around it. I found my cookie cutter at Kroger a few weeks ago. 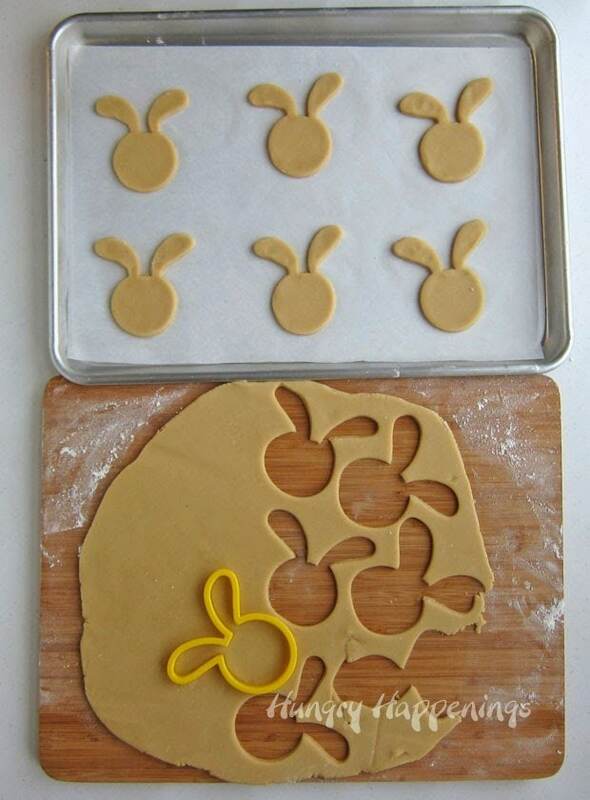 Roll out your cookie dough and cut out bunny heads using a cookie cutter. Bake according to recipe instructions. Color some white modeling chocolate pink and some brown. 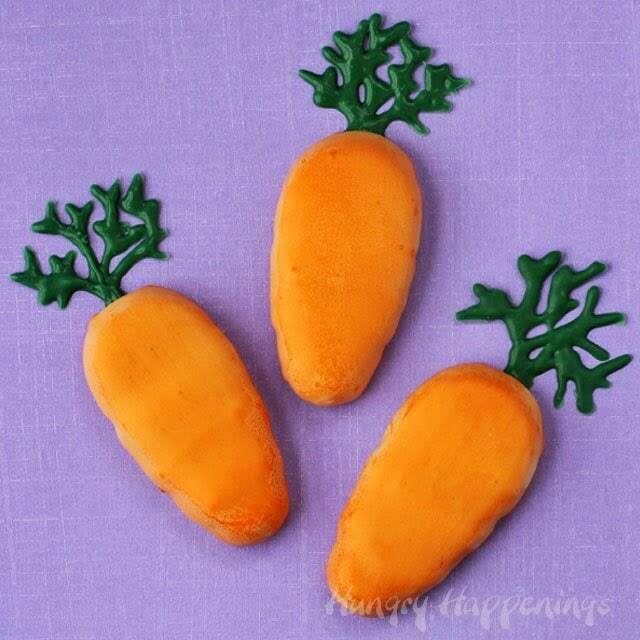 Roll modeling chocolate out on a non-stick silicone mat using a fondant roller. 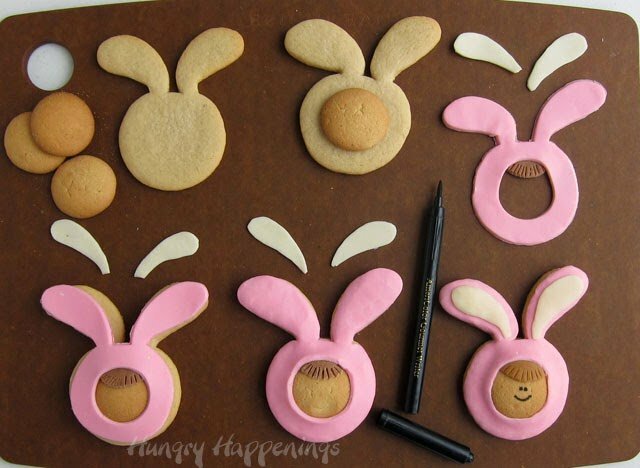 Cut out pink bunny heads using the same cookie cutter you used for the cookies. Cut a circle out of the center. 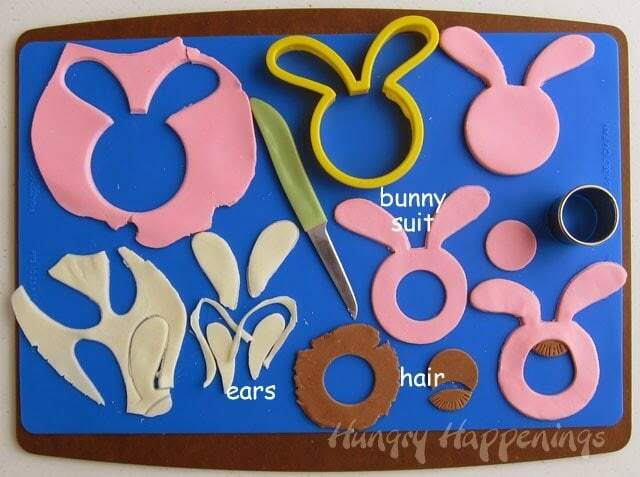 Use the cutter to cut 2 white ears then cut about 1/4 inch off around the ears. 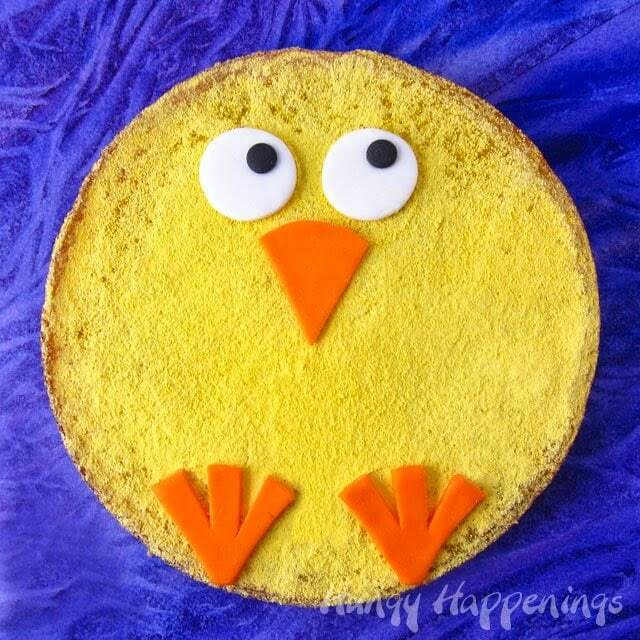 Use the circle cutter to cut a brown circle then cut off about 1/3 of the circle. Use a knife to create strands of hair. 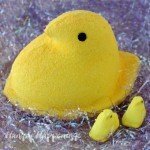 Attach the hair to the pink bunny head with water. 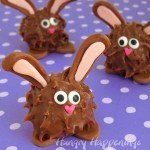 Use frosting, Nutella or peanut butter to attach a vanilla wafer to the center of each bunny head cookie. 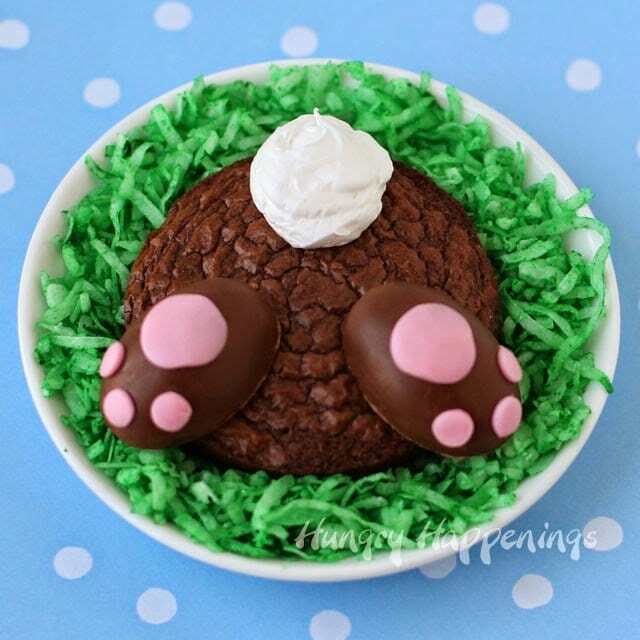 Spread some more lightly over the bunny head cookie. 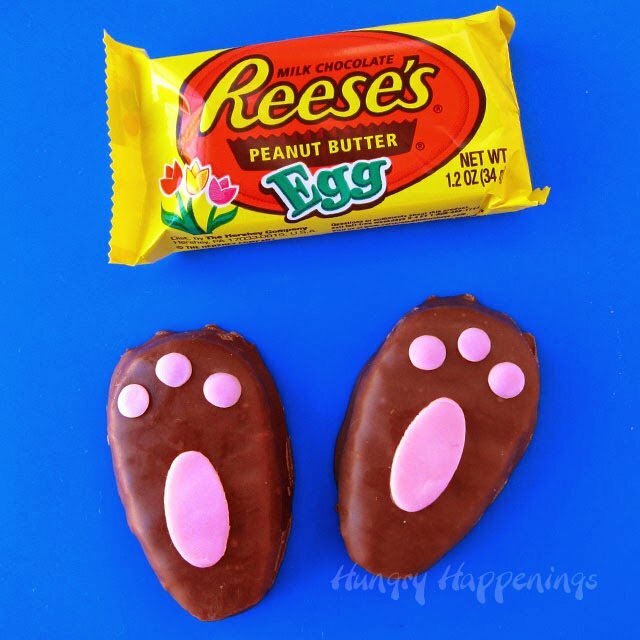 Set a pink modeling chocolate bunny on top of the cookie. You may need to stretch it over the cookie a bit to make it fit. Attach the whites of the ears with water. Draw on a face using a food coloring marker. oh my gosh these cannot get any cuter i just love them!!! 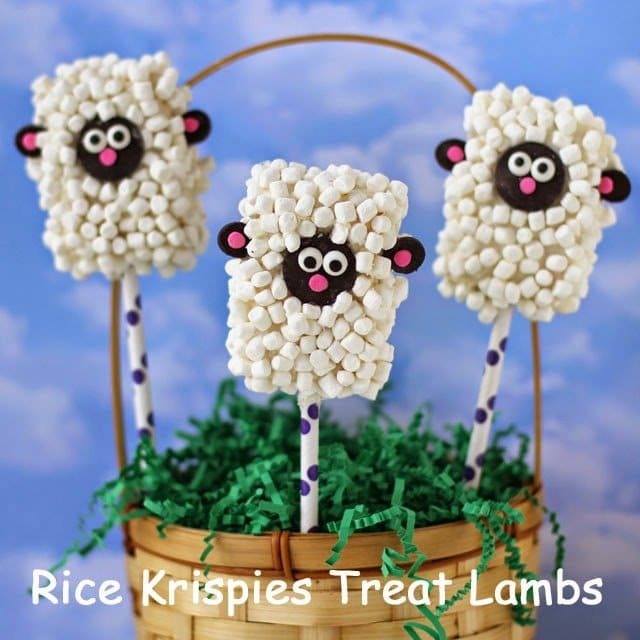 i bet even Ralphie from A Christmas Story movie would love them too! lol :>D i'm so happy your friend reminded you to post about these! When my husband saw them, he said, "hey it's Ralphie." I think I would need to add glasses to make them really look like him. Maybe I'll do that at Christmas time! That was my first thought too! Christmas isn't Christmas till you've seen Ralphie at his best. 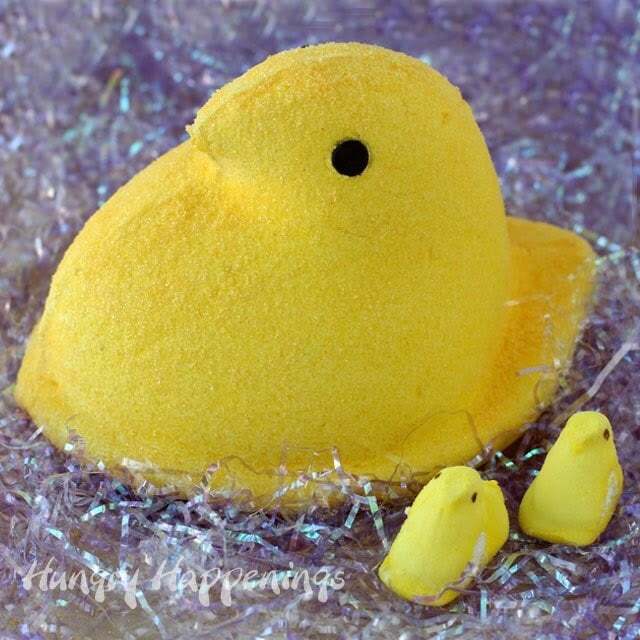 And now thanks to you, we get to enjoy him at Easter as well. 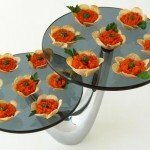 These are so adorable..you are right Beth, the glasses would be so cute. 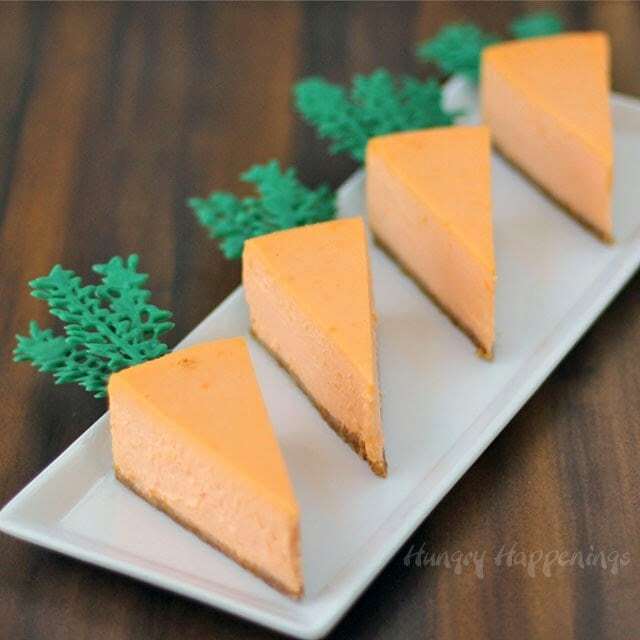 Another awesome craft from Hungry Happenings!